To say that your kids’ technology is different from what you grew up with is probably the understatement of the century. Depending on your age, you may remember renting giant suitcases holding a VCR so you could watch rented movies on VHS tapes. You might have learned to type on a manual or electric typewriter, and you probably called your friends on a rotary phone. Ah, how times have changed. No story about incredible technology for kids would be complete without a mention of smartphones. Not only has it replaced the cumbersome rotary phone of our youth, it has also taken the place of a heavy camera and even an entire school library. For example, the iPhone 7 features a 12MP wide-angle camera and 4K video recording that your budding photographer can use to take professional looking photos and videos, along with plenty of selfies with her friends. Kids can use the iPhone 7 to research pretty much any topic for school papers, thus eliminating the need to trudge to the library and lug home heavy books. Of course, when it’s time to call Grandma and thank her for the birthday money, the smartphone can do that too, without being tethered to the kitchen wall. And, if your kid is stuck on a homework problem, he can simply ask Siri to research the answer, which means you might be able to bow out of helping with 7th grade math homework. When you had an idea for a story or game, you either wrote out and illustrated it on paper or used cardboard and whatever items you could find to create a board game. Now, thanks to products like Scratch, your kids can program their own interactive stories, animations and games and share them with others in an online community. In addition to teaching kiddos to think creativity, reason and work together, Scratch also teaches coding, which is an increasingly key skill to have. As a bonus, though Scratch was technically made with kids ages 8 to 16 in mind, people of all ages enjoy using it, so you can sit down with your kiddos and learn to code along with them — they may even enjoy teaching you how to do it. When you were a kid, you may have enjoyed building towers and other structures with colorful LEGO blocks. Now, thanks to a robotic and programming twist on the classic building toy, your kids can take their love of LEGO to the next level with LEGO Boost. The kit provides 847 different LEGO bricks that kids can use to build five different kinds of robots, as well as a motor, a light/IR sensor and the Move Hub, which is a large brick that is the central brains of the robot. Once your kids build their robot of choice, they can use the downloaded LEGO Boost app on their tablet to start programming the robot to move. 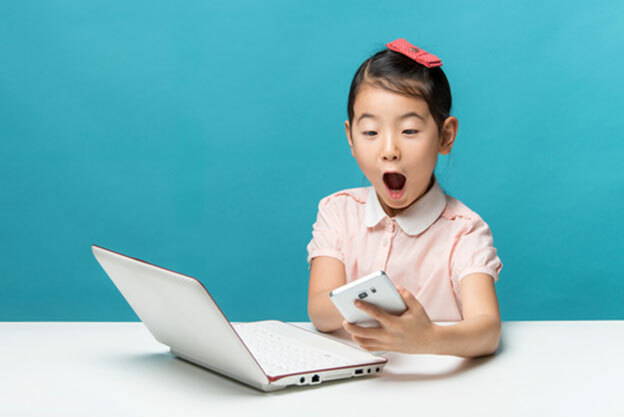 As our kids get older, it will be fun to see how technology will expand even further and provide them with even more tools for learning and fun. Who knows — they may end up “driving” us to the mall in a self-driving car to purchase coding tools from a robotically-managed kiosk. It could happen!